March 26, 2019, Snider Recital Hall, 7pm. No admission charge. Free parking in Lot 3. When House Speaker Paul Ryan urged U.S. women to have more children, and Ross Douthat requested “More babies, please,” they openly expressed what U.S. policymakers have been discussing for decades with greater discretion. Using technical language like “age structure,” “dependency ratio,” and “entitlement crisis,” establishment think tanks are raising the alarm: if U.S. women don’t have more children, we’ll face an aging workforce, slack consumer demand, and a stagnant economy. Feminists generally believe that a prudish religious bloc is responsible for the fight over reproductive freedom in the U.S., but hidden behind this conventional explanation is a dramatic fight over women’s reproductive labor. On one side, elite policymakers want an expanding workforce reared with a minimum of employer spending and a maximum of unpaid women’s work. On the other side, women are refusing to produce children at levels desired by economic planners. 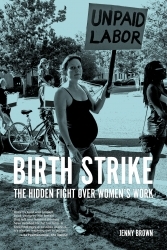 With little access to childcare, family leave, health care, and with insufficient male participation, U.S. women are conducting a spontaneous birth strike. In other countries, panic over low birth rates has led governments to underwrite childbearing with generous universal programs, but in the U.S., women have not yet realized the potential of our bargaining position. When we do, it will lead to new strategies for winning full access to abortion and birth control, and for improving the difficult working conditions U.S. parents now face when raising children. 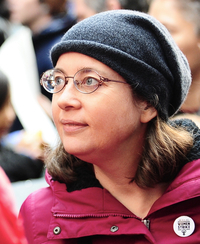 Jenny Brown first studied the radical history of the Women’s Liberation Movement with Gainesville (Florida) Women’s Liberation and then with Redstockings, where she developed materials for the Redstockings Women’s Liberation Archives for Action. She was a leader in the grassroots campaign to win morning-after pill contraception over-the-counter in the United States, and a plaintiff in the winning lawsuit. For ten years she co-chaired the Alachua County Labor Party, organizing for national health insurance, the right to a job at a living wage, free higher education and a working person’s political party under the Labor Party slogan, “The corporations have two parties, we need one of our own.” More recently she worked as a staff writer and editor for Labor Notes, a magazine covering labor struggles in hotels, restaurants, retail, farm work, airlines, telecommunications and the building trades. She is a co-author of How to Jump-Start Your Union: Lessons from the Chicago Teachers (2014). She writes, teaches, and organizes with the dues-funded feminist group National Women’s Liberation (womensliberation.org).